what’s the “Seilscheibenpfeiler”? what is the origin of the first Modeselektor tracks? where is Monkeytown? why is riding a coach more fun than flying? these and many more questions will be answered with the documentary film We Are Modeselektor. in 72 minutes, filmmakers Romi Agel and Holger Wick tell the story of Modeselektor as a post-German reunification movie, a travel report, and a portrait of the special friendship between Gernot Bronsert and Sebastian Szary all in one. 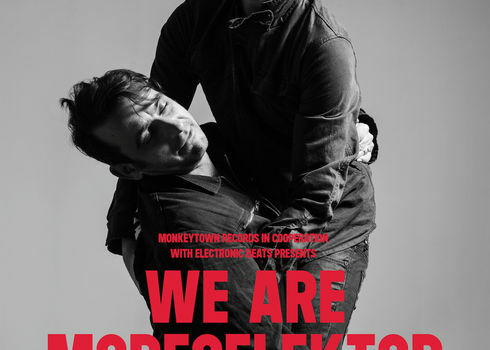 We Are Modeselektor is the story of two men, possessed by techno, who took their massive beats from their small hometown village to the world. and it’s a story that has only just begun.